We all need a little reminder that we're beautiful just as we are sometimes! These Blue Q socks are made of 50% combed cotton, 48% nylon and 2% spandex. 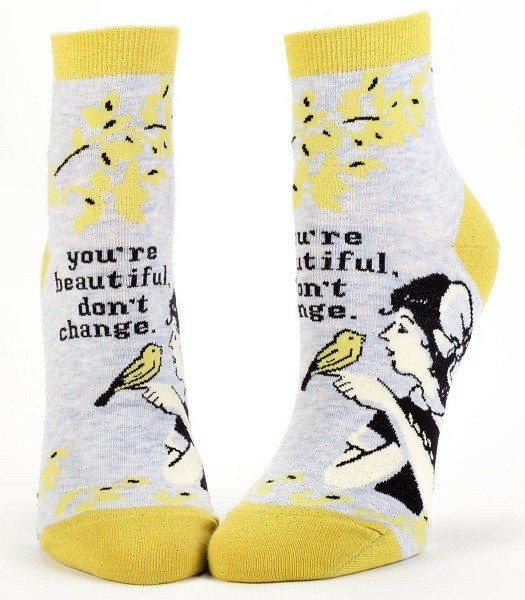 Their cheerful yellow print and "You're beautiful, don't change" text will give you a lift when you need it! 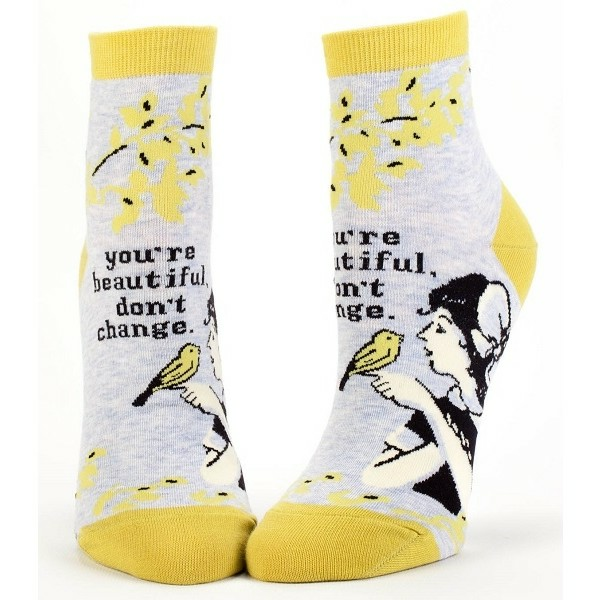 These socks are available in one size which fits most women's shoe sizes 5 - 10.